relevant to common diseases of the myocardium such as heart failure. This review focuses on the molecular regulatory events involved in mitochondrial energy metabolism. This is followed by the derangements known to occur in the development of heart failure. respond proportionately to dynamic fluctuations in physiological demands and fuel delivery. 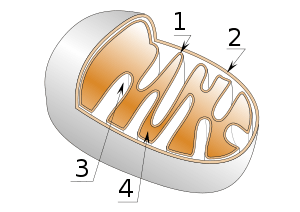 which are necessary for mitochondrial electron transport (Fig. 1). the electron transport chain, which comprises four complexes: I–IV. Electrons are transferred through the chain to the ﬁnal acceptor, namely oxygen(O2). generate an electrochemical gradient across the inner mitochondrial membrane. the uncoupling proteins(UCPs), which results in the dissipation of energy. NAD, nicotinamide adenine dinucleotide; TCA, tricarboxylic acid]. accounts for the vast majority of ATP generation in the healthy adult heart. supplying 70-90% of total ATP. localized within the inner mitochondrial membrane. enters the tricarboxylic acid (TCA) cycle. that drives ATP synthesis in the presence of molecular oxygen (oxidative phosphorylation). giving rise to a greater ATP yield per C2 unit than with glucose. FFAs (greater ATP yield per oxygen molecule consumed). indeed by the intracellular circadian clock. under a range of metabolic conditions to meet the high energy demands of the heart. Mitochondrial enzymes are encoded by both nuclear and mitochondrial genes. are encoded by nuclear genes. 13 ET chain subunits within complexes I, III, and IV. determine overall cardiac oxidative capacity. nuclear genes encoding component mitochondrial pathways. the Autonomic Nervous System in Adult Life. may be programmed during the perinatal stage. but also to food restriction during early life. to study the impact of perinatal malnutrition on adult metabolism. either obesity or the hallmarks of metabolic syndrome, such as hyperinsulinemia, when individuals reached adulthood. Protein restriction provokes body underweight and hypoinsulinemia. These data were in agreement with a low insulin response to glucose. metabolic homeostasis and ANS balance activity. it is diminished in people who were underweight. whereas the low activity reported in underweight individuals is associated with a weak cholinergic insulin tropic effect. such as type 2 diabetes and obesity, later in life. they involve several mechanisms to guarantee fluctuations of enzymes and other proteins that regulate the metabolism. The intrauterine phase of development is particularly important for the genomic processes related to genes associated with metabolic pathways. the major factors involved in pancreas development and pancreatic β-cell maturation. predispose babies or pups to develop metabolic disorders when they reach adulthood. What are the mechanisms involved in the low glucose insulin tropic response observed in low protein-programmed lean rats? stimulate cellular metabolism and increase ATP production. the activation of voltage-dependent calcium channels. the export of insulin to the bloodstream. Glucose may also stimulate insulin secretion by alternative pathways involving KATP channels. enhance or inhibit glucose-stimulated insulin secretion. adrenoceptors and cholinergic muscarinic receptors (mAChRs). throughout their neural ends for pancreatic β-cells. the parasympathetic and sympathetic systems to participate in glycemic regulation. whereas noradrenaline and adrenaline inhibit this response. the insulin tropic effect of acetylcholine. as are adult rats that were protein-restricted during lactation. The pancreatic islets from M3mAChR mice (-/-) showed a reduced secretory response to cholinergic agonists. exhibit a low PNS activity. Evidence suggests that ANS changes may contribute to the impairment of glycemic homeostasis in metabolically programmed rats. 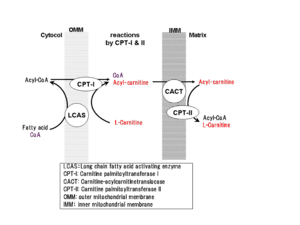 Pathways involved in cardiac energy metabolism. FA and glucose oxidation are the main ATP-generating pathways in the adult mammalian heart. 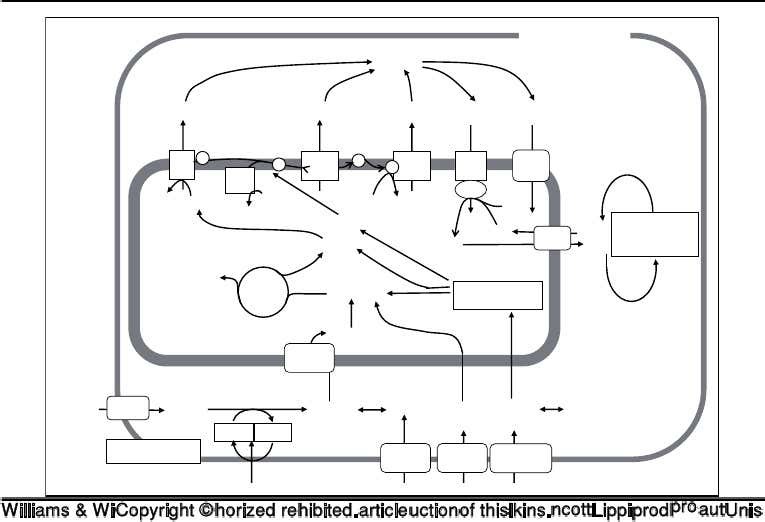 enter the ET/oxidative phosphorylation pathway and drive ATP synthesis. with its nuclear receptor partners, including PPARs and ERRs . other transcription factors, such as MEF-2 and NRF-1. results in lactate production that is not redirected into the TCA cycle. mitochondrial to cytoplasmic malate dehydrogenase isoenzyme activity (m-MDH:c-MDH). The fetal heart operates without oxygenation from a functioning lung, bathed in amniotic fluid. the m-type LD isoenzymes (LD3, LD4, LD5). not with the spurts of activity seen in skeletal muscle. there are three locations, as if the organelle itself were an organ. The normal functioning myocardium can utilize lactic acid accumulated in the bloodstream during extreme exercise as fuel. This is a virtue of mitochondrial function. There is a significant functional difference between the roles of the h- and m-type LD isoenzymes. The complex forms in 200 msec as observed in the Aminco-Morrow stop-flow analyzer. This is not the case for the m-type isoenzyme. I presume that it is not a factor in embryonic heart. It would become a factor after birth with the expansion of the lungs. This would also bring to the discussion the effect of severe restrictive lung disease on cardiac metabolism. The PPAR³ coactivator-1 (PGC-1) family of transcriptional coactivators is involved in regulating mitochondrial metabolism and biogenesis. PGC-1a was the first member discovered through its functional interaction with the nuclear receptor PPAR³ in brown adipose tissue (BAT). physiological and pathological cues at the level of expression and transactivation. a perinatal shift from reliance on glucose metabolism to the oxidation of fats for energy. increases rates of FA oxidation and coupled respiration. directly coactivates NRF-1 on its target gene promoters. transcription of the mitochondrial genome. respiratory chain subunits and other proteins required for mitochondrial function. coactivates the PPAR and ERR nuclear receptors, critical regulators of myocardial FFA utilization. regulates genes involved in the cellular uptake and mitochondrial oxidation of FFAs. is an integrator of the transcriptional network regulating mitochondrial biogenesis and function. whereas ERK-MAPK has the opposite effect. identification of signal transduction pathways that modulate the activity of PGC-1a and its downstream partners. PGC-1a is upregulated in response to beta-adrenergic signaling, consistent with the involvement of this pathway in thermogenesis. The stress-activated p38_MAPK activates PGC-1a by increasing PGC-1a protein stability and promoting dissociation of a repressor. inactivates the PPARa/RXRa complex via direct phosphorylation. opposing regulatory influences on the PGC-1a cascade. regulating mitochondrial biogenesis by inducing mitochondrial proliferation. the more mitochondria those cells contain. in parallel, longitudinal rows ensconced within the contractile apparatus (interfibrillar mitochondria, IFM). the cristae orientation in IFM is tubular. The morphology of mitochondria is responsive to changes in cardiomyocytes. in both normal and failing heart. the more DNA-damaging free radicals they produce. the process that sustains life also is the source of toxic damage that causes the dysfunction and mitogeny in the cell. by facilitating the electron transfer between the catalytic sites of the ETC. We recently reported a decrease in mitochondrial respirasomes in CHF that fits in the category of a new mitochondrial cytopathy. a process that involves the coupling of electron transfer and oxygen consumption with phosphorylation of ADP to ATP. as donors for mitochondrial electron transport. increased by insulin during the postprandial period and during exercise. by way of Krebs cycle metabolism of fatty acids and carbohydrate substrates. If DNA holds the blueprint for the proper function of a cell, then any change in the blueprint will change how the cell functions. the cell will lose its ability to function adequately.